People and needs are changing. Is your thinking changing? 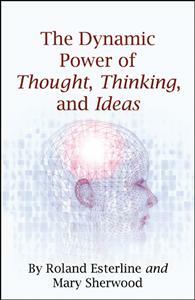 The ideas in this book will get results beyond belief, bring your thinking into the present, and fulfill your desires. We need four things in our life to set us on the right path for proper advancement: God for spiritual growth, thought to recognize our desires, thinking to propel our desires to reality, and ideas which are God’s way of communicating with us. We must follow up with the ideas God gives to us. By maintaining our faith and through thought, thinking, and ideas we can reap a harvest that will help to sustain us. This is my interpretation of ways to help you change your way of thought, thinking, and ideas to help you improve your lot in life.